Have you ever had trouble getting your young ones to eat enough vegetables? I have and my solution is to hide the veggies in their smoothies. 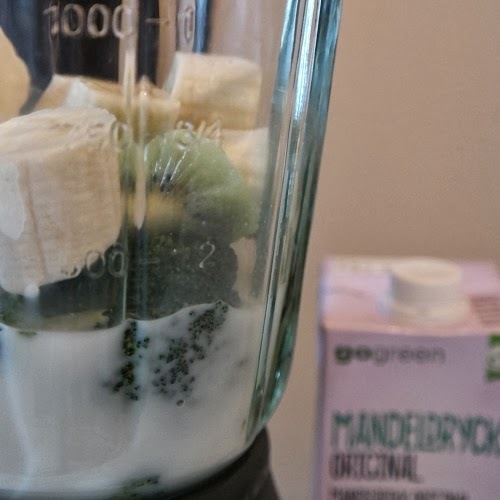 I have tried many different combinations with different results, but this smoothie is the one that has been the most successful. The kiwi and the banana camuflages broccoli and spinac quite well. 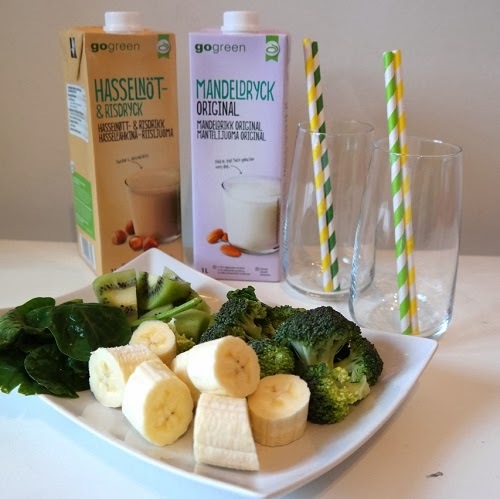 So even if my youngest one only want to eat carbs and proteins it does not really matter as long as she drinks this smoothie with her meal. 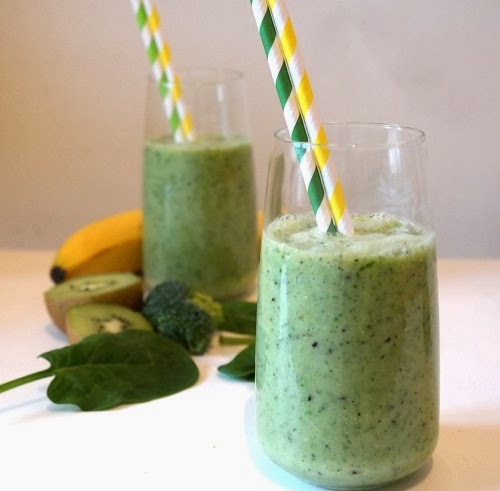 As you can see there is a lot of vegetables in this smootie. 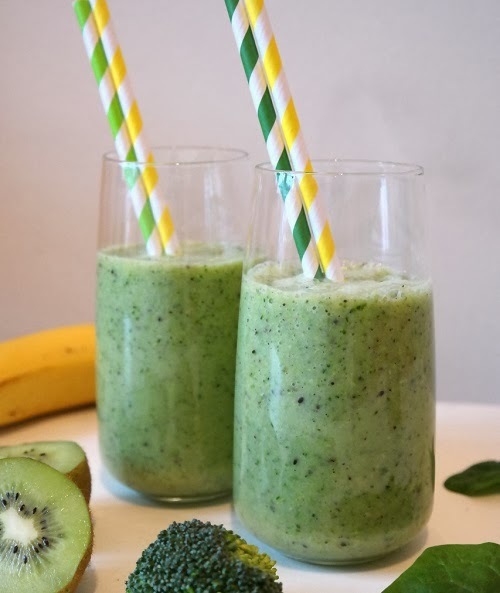 Put everything in a blender and blend to a smooth mixture, then pour it in to glasses and decorate with some colorful straws.